I love this time of year when fresh fruit is in abundance and more affordable. I try to take advantage of recipes that use fruit to their full advantage. 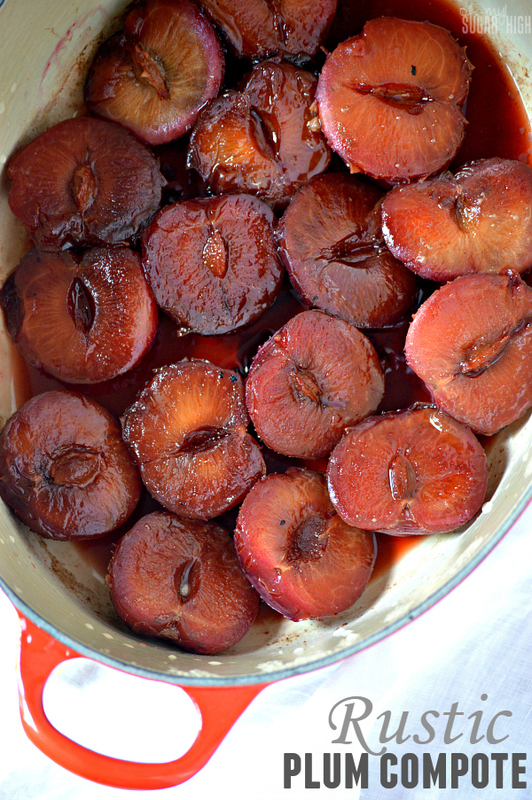 This Rustic Plum Compote from Manuela Davis is a great way to enjoy fresh plums. It is perfect to serve warm with vanilla ice cream or whipped cream. Impress guests with this simple but elegant dessert! In a large pot place the plums (split side facing down), water, cinnamon and sugar over medium low heat and cook for a few minutes. Allow it to simmer until the plums start to soften when tested with a toothpick. Once they have softened, add the cornstarch if you want a thicker sauce. Serve hot over ice cream or with whipped cream. 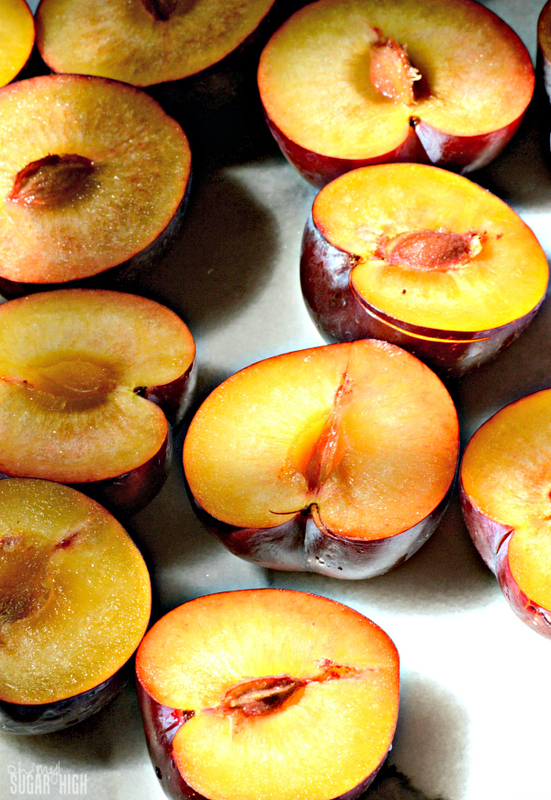 When you cut the plums in half there’s no need to remove the pits, they are much easier to remove after they’re cooked. The cornstarch is entirely optional. Manuela doesn’t like cornstarch in her food, so she skips it. If you like a sauce with a bit more liquid, you can omit it from the recipe! 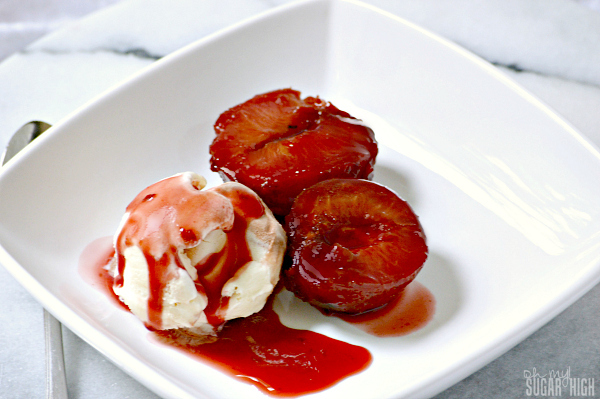 This recipe is quite simple, but if you’re a plum lover it’s really a delicious treat. Ooooo…this looks absolutely amazing! Thanks so much for taking the time to link up with us over at the #HomeMattersParty – we hope to see you again this Friday!